A yacht charter in the Caribbean is the best way to escape the winter blues. 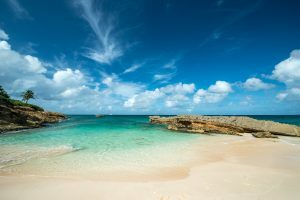 With its tropical climate and abundant sunshine, the Caribbean offers warm temperatures and mild weather year-round, but is especially enjoyable in the dry season from December-April. Chamberlain Yachts provides you with a wide choice of charter yachts for all Caribbean destinations. Whether you want to go island hopping in the British Virgin Islands, explore the island nightlife and historic buildings on Barbados, or venture into the lush emerald rainforests of Grenada, Chamberlain Yachts provides luxury yachts for all your holiday needs. Let your Caribbean yacht charter drop anchor at the best-kept secret yachting destinations, and enjoy the adventure of a lifetime. 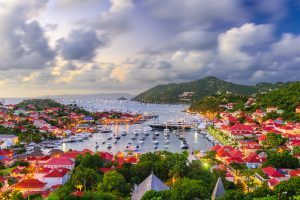 The British Virgin Islands are a prime destination to indulge in some romantic island hopping. With their coasts dotted with secluded harbors and bays, the islands offer many ideal spots to take in their breathtaking natural beauty. The coral reefs along the coastlines invite you on snorkeling and scuba diving trips, while the impressive ancient granite boulders rise up out of the white beach sands and forests like a pirate’s arm reaching for the sky. The Windward Islands beckon your Caribbean yacht charter with their verdant forests and secluded sandy beaches. You will have ample opportunity to hike through the hills of Dominica, in search of the hidden volcanic hot springs and rare hummingbirds, or explore the splendid coral reefs off the coast of Martinique on diving excursions. Chamberlain Yachts vessels offer you the highest standard of luxury, whether you want to relax in the sun, or marvel at the colorful beauty of Saint Lucia’s forest orchids. No yacht charter in the Caribbean would be complete without a trip to Jost Van Dyke, the island supposedly named after a 17th-century pirate. Explore the friendly local restaurant scene, or take advantage of the sublime fishing spots. Off the jagged rocky shorelines of Antigua, the best waves for kitesurfing await you, and many of the secluded island bays are only accessible from water, making your Chamberlain Yachts luxury vessel the best way to enjoy the Leeward Islands. Established in Fort Lauderdale in 2003, Chamberlain Yachts’ expert team specializes in luxury yachts over 100 feet. 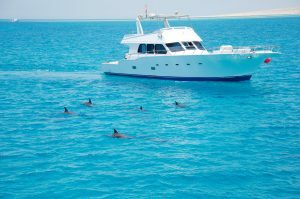 We offer yacht management services including both charters and brokerage. We can help you with crew placement, the logistics of purchasing yachts, maintenance and safety management. We have earned an unrivaled reputation for our ethical practices and high-level customer service. Our bespoke Caribbean yacht charter itineraries complement our high-quality yachts and are tailored to your personal tastes. Feel free to contact us to discuss how Chamberlain Yachts can help you plan the Caribbean yacht charter of your dreams. Meet your yacht and crew at The Simpson Bay in the amicably partitioned Dutch and French island of St. Maarten. From there, sail for the 8 sq km of French chic that is St. Barts. No cultural power sharing here – this is the Monte Carlo of the Caribbean, a great place to experience dinner ashore. Sail to Anguilla, altogether calmer – a self governing British colony determined to preserve its relaxed atmosphere (and its crowning glory: 33 beaches on 35 miles of coastline). Relax in the sun while sipping on your favorite cocktail. Sail to Road Bay, keeping an eye out for dolphins. There are a variety of beaches to suit everyone – soft, white sands sloping down into shallow aquamarine water: secluded, spectacular. 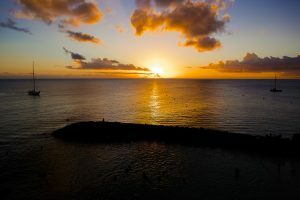 We cruise to the uninhabited Dog Island, swim in the clear waters and return to St. Maarten for the return flight. A short but relaxing trip of the Caribbean, until next time!